We work hard to be the most helpful insurance agency possible. In addition to providing personalized service, we share the latest insurance news and our knowledge with you through the dozens of relevant articles on our blogs. We are in the middle of the holiday season. While you are out shopping for that perfect gift, criminals are also out looking for ways to enhance their holiday take. While your personal insurance will most likely cover losses from theft, we thought it might be good to identify the most common holiday theft losses. Now might be a good time to have us review your personal insurance. Stop in and have some coffee while we review your homeowner’s insurance coverage. While you are in the store, criminals are in the parking lot looking for easy ways to get into your vehicle. Keep all packages in the trunk; always lock your car, park close to the store, and in a well-lit area. 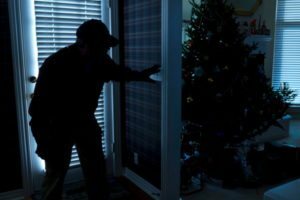 Home burglaries increase in December, due to people traveling and an increased number of easy targets. When you leave your home, keep lights on, close your drapes, and never leave packages on your front porch. Thieves will follow delivery trucks waiting for an opportunity to strike. Most online retailers send emails and text messages so purchasers know almost immediately when a package has been delivered. When you are shopping, never leave your purse in the shopping cart, keep your purse closed, only take the credit cards you need, and leave other cards and documents at home. Don’t carry a lot of cash and wait until asked to produce your credit card so a nearby thief can’t get your account information. Online shopping has become as big as direct shopping. Make sure to use secure websites and log off when completing any purchases. Leap | Carpenter | Kemps Insurance Agency Provides Personal Insurance, Business Insurance, Life and Health Insurance, and Group Benefits to All of California, Including Merced, Atwater, Los Banos, Mariposa, Madera, Fresno, Modesto, Turlock, and Stockton. CA License Number 0646081 | Licensed to do business in California, Arizona, Hawaii, Idaho, Montana, Nevada, North Carolina, Oklahoma, Oregon, Virginia, West Virginia and Washington. © Copyright 2019 Leap | Carpenter | Kemps Insurance Agency.